Order before 11am for same-day delivery. We normally sell out daily. We are currently closed. Please order for Monday 29th onwards. 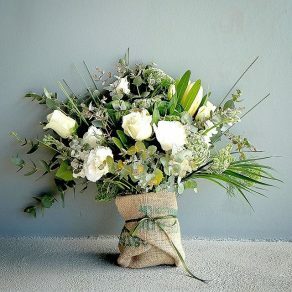 Urban Jungle is a minimalist bouquet featuring a beautiful, unique mix of green and white floral ingredients. A classic bunch that suits any occasion. Same-day delivery in Sydney. Size shown is 'Regular'. Select delivery date at checkout and remember to order before 11am for same-day delivery. 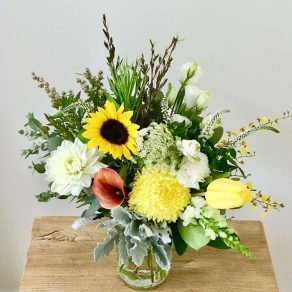 Our Sunflower harvest includes the finest sunflower stems from Australian flower growers, guaranteed to brighten up anyone's day and add a special addition to any home or office. 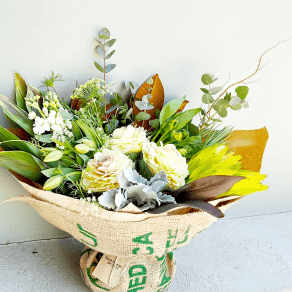 Order for same-day delivery in Sydney. Image shown is 'Small' size. 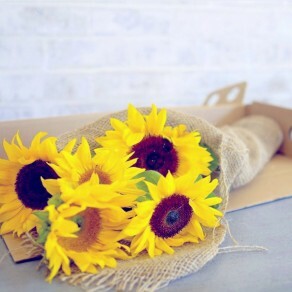 Small includes 5 sunflowers Regular includes 10 sunflowers Large includes 15 sunflowers Premium includes 20 sunflowers Select delivery date at checkout and remember to order before 11am for same-day delivery. A big bunch of our favourite ingredients! 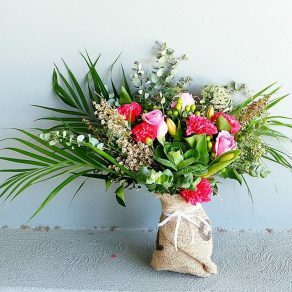 Includes a large variety of premium quality Australian natives and colourful florals. Image shown is Premium size. Select delivery date at checkout and remember to order before 11am for same-day delivery. 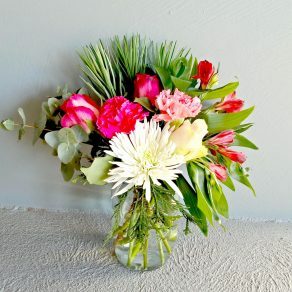 Bright & sunny fresh flowers whimsically styled in our unique Farmgate vase Size shown is 'Regular' (one size only). Select delivery date at checkout and remember to order before 11am for same-day delivery. Fresh & beautiful with a pop of colour creatively styled in our unique Farmgate vase Size shown is 'Regular' (one size only). Select delivery date at checkout and remember to order before 11am for same-day delivery. Bright & colourful fresh flowers whimsically styled in our unique Farmgate vase Size shown is 'Regular' (one size only). Select delivery date at checkout and remember to order before 11am for same-day delivery. 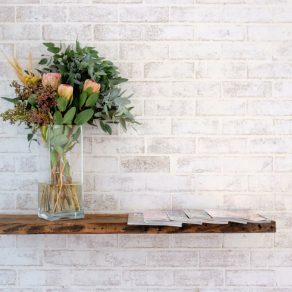 Seasonal, fresh blooms whimsically styled in our unique Farmgate vase Size shown is 'Regular' (one size only). Select delivery date at checkout and remember to order before 11am for same-day delivery. 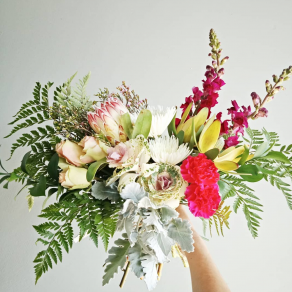 Our Botanica bouquet is an artistic creation filled with seasonal blooms. 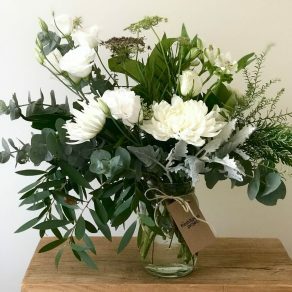 We use a modern mix of the highest quality of flowers and design them in our studio into this arty design, a signature collection of The Fresh Flower Project. Image shown is 'Regular' size. Select delivery date at checkout and remember to order before 11am for same-day delivery. 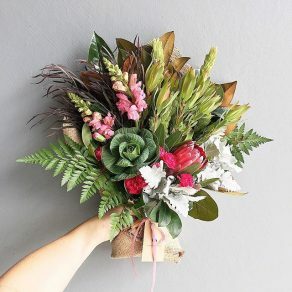 Our Sahara bouquet is a fun-filled bunch mixed with unique, colourful flower ingredients that will be sure to brighten any day. 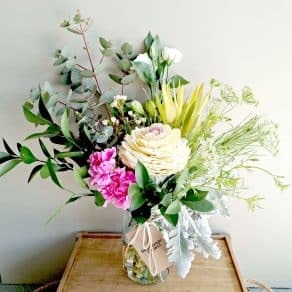 It's a classic The Fresh Flower Project style and will suit any occasion. 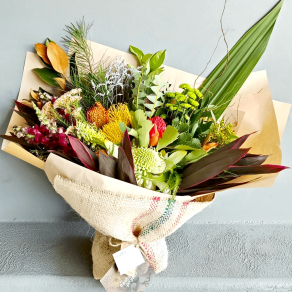 Order for same-day flower delivery in Sydney. Size shown is 'Regular'. Select delivery date at checkout and remember to order before 11am for same-day delivery. A classic Signature bunch with seasonal ingredients in an artistically styled creation. Size shown is 'Regular' (one size only). Select delivery date at checkout and remember to order before 11am for same-day delivery. Ingredients:organic milk and dark chocolate (sugar, cocoa butter, whole milk powder, cocoa mass, soy lecithin, vanilla), salted peanuts. Contains nuts. Contains dairy. Gluten Free. 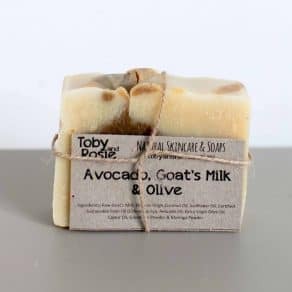 Processed in a kitchen which handles dairy, nuts and gluten. 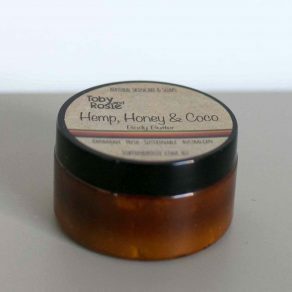 Organic Shea Butter, Organic Virgin Coconut Oil, Hemp Seed Oil, Peach Kernel Oil, Rosehip Oil, Raw Sustainable Honey, Organic Rosemary Extract & Leucidal (Natural Preservative). Essential Oils: Ylang Ylang, Tea Tree, Spearmint & Eucalyptus. 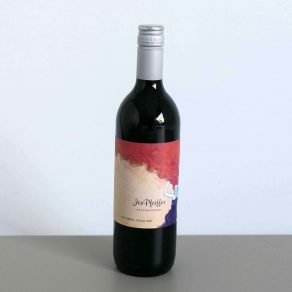 Jen Pfeiffer The Rebel Shiraz Victoria, Australia The nose has plenty of ripe plum and berry fruit with hints of chocolate. The palate is full, rich and smooth, with lots of mid palate fruit and a long finish. 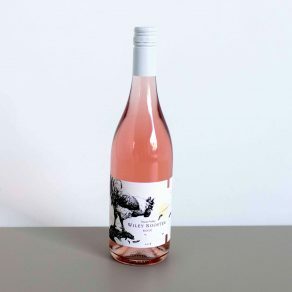 Wiley Rooster Rose' Hunter Valley, Australia The wine is made from single vineyard grapes, picked early to capture the fruit's natural vibrancy and acidity. The winemaker left the wine on skins for just the right number of hours to lock in it's perfectly pink colour. Aromas of berries and Turkish delight are too good to resist! Handmade Soy Candle Enjoy over 40 hours of a beautifully fragrant soy candle. 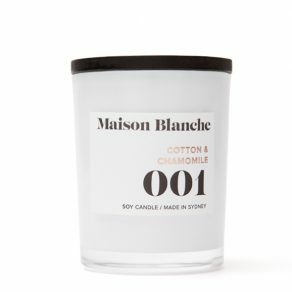 Pure soy wax is infused with expertly blended fragrance oils and carefully poured into thick white glass to deliver over 40 hours of home fragrance. 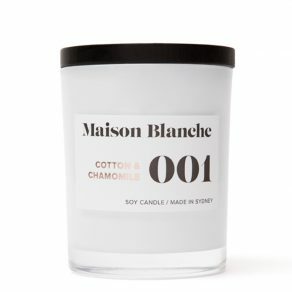 Finished with a sleek black wooden lid and packaged in Maison Blanche's signature cotton bag, this candle provides the perfect gift for any occasion. FRAGRANCE This fresh linen scent blends delicate floral notes of ylang-ylang, star jasmine and mimosa flower with the sweet and slightly herbaceous aroma of wild chamomile. 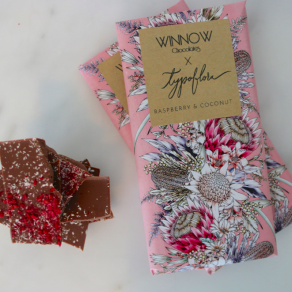 Organic milk chocolate with desiccated coconut and raspberries by Winnow Chocolates. 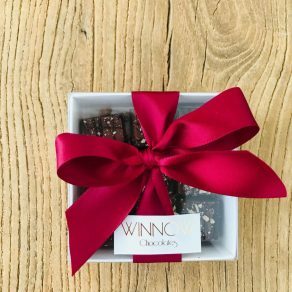 Ingredients: organic milk chocolate (sugar, cocoa butter, whole milk powder, cocoa mass, soy lecithin, vanilla), raspberries, desiccated coconut. May contain traces of nuts. Contains dairy. Gluten free. 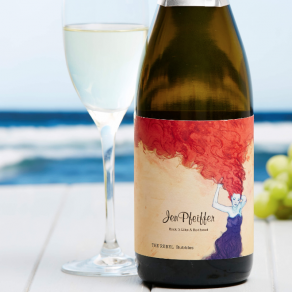 Sauvignon Blanc Semillon 2017 | Australian crafted Brilliantly refreshing fruity flavour, this is delicious on your lips and light on your pocket, easy drinking guaranteed. It is a hit with fresh and barbequed seafood, lemon chicken skewers or summer salads. 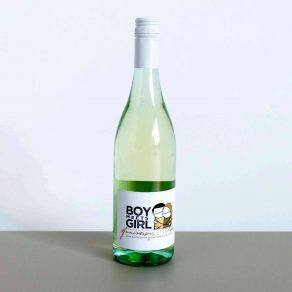 Refreshing and zippy, this light bodied wine is packed with bright flavours of citrus, passionfruit and tropical fruits. © The Fresh Flower Project 2018. All rights reserved. Our studio is closed over the Easter and ANZAC week. Please order for Monday 29th April and onwards. Wishing you a blessed and safe Easter.